Today you will see the number 42 everywhere in baseball. 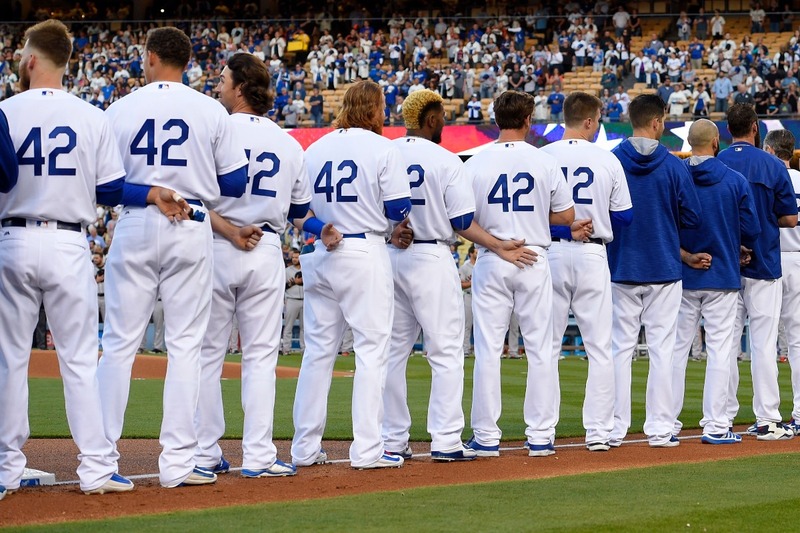 Every player on every team honors Jackie Robinson by wearing his number. It is a fitting tribute to the man who broke “the color barrier”on April 15, 1947, becoming the first African-American to play in the major leagues as he took the field with with the Brooklyn Dodgers. In Dodger Stadium today, there will be a special pre-game tribute, and members of Jackie’s family are scheduled to be on hand. Rickey was the president and GM of the Dodgers, and made the ultimate decision to bring Robinson into the organization. 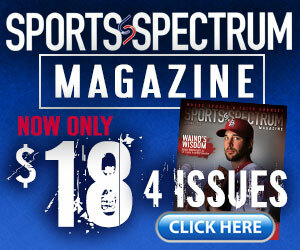 He was also a man of deep faith who believed that God brought him to baseball for a purpose. In 1945, Robinson met with Rickey before the official signing. Rickey told the young ballplayer that his career would go nowhere, and perhaps be detrimental to others who may follow, if he did not remember the words of Jesus: “Turn the other cheek.” The older man warned Robinson that he must keep his temper in check, no matter what happened. Robinson was able, at least publicly, to never retaliate or respond to what fans and players said to him. He was called every imaginable name. He received death threats. In some cities, he had to sleep in the ballpark for his own safety. Through it all, he kept his anger in check and let his baseball skills speak for him. You and I may not have history resting on our shoulders, but what is at stake when we lose our temper? Today, be reminded of Robinson’s impact and legacy. Also, be reminded of his temperament as he faced far more opposition than most of us will. If anger is an issue for you, put up a “42” in your office, in your home, or in your locker to remind you to keep your anger in check.